Another fine piece to the puzzle. This has been a needed part for quite some time. For those searching power but still wanting to keep the stock hood and an air cleaner. Your search is over. 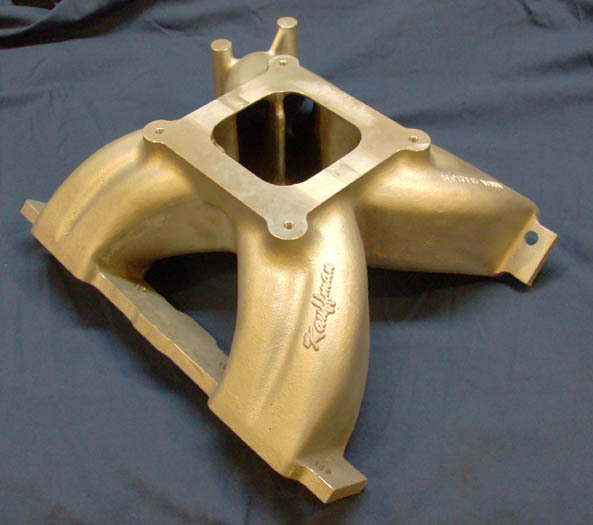 We give you the Northwind intake. 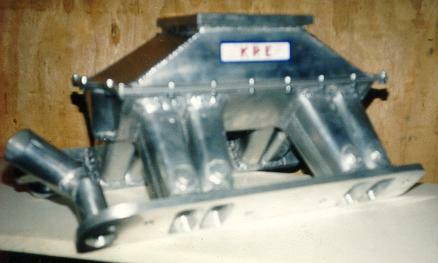 This manifold made best for horsepower applications from 550-800 HP in the 2500-7000 rpm range. Std. 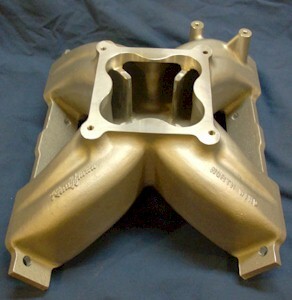 design is 4150 Holley style carb with a RA IV port match machined into the intake. 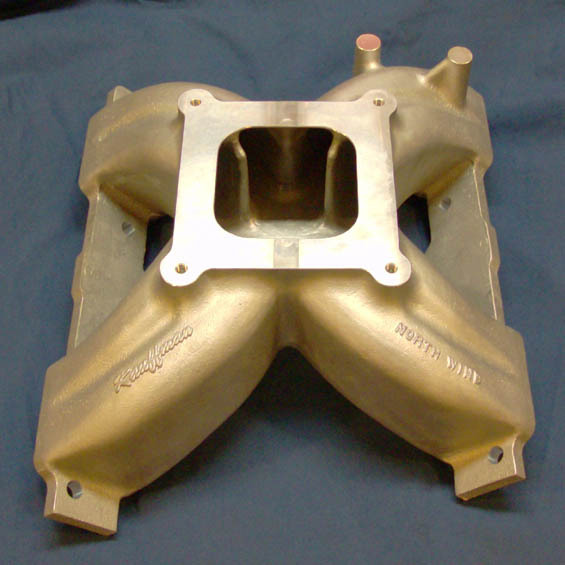 For the 4500 series Holley dominator users! 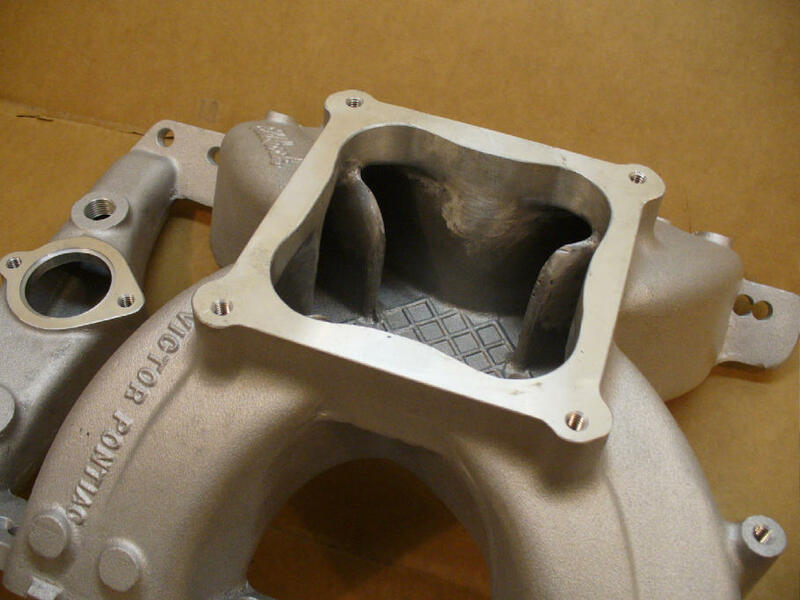 CNC machined and designed to fit a HVH spacer for prefect wet flow. $ 70.00 Here is our new water crossover. 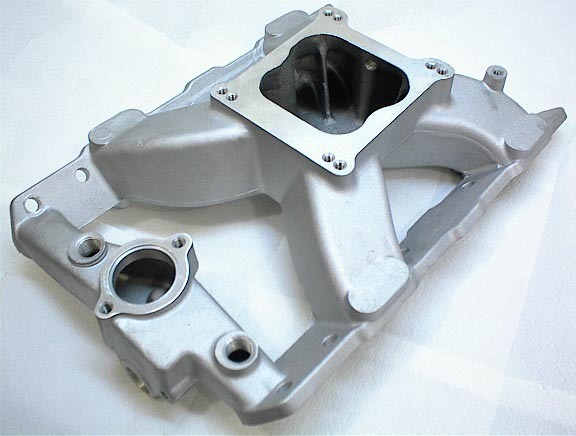 Designed for stock replacement with exact location for T-housing and water outlet for timing cover. 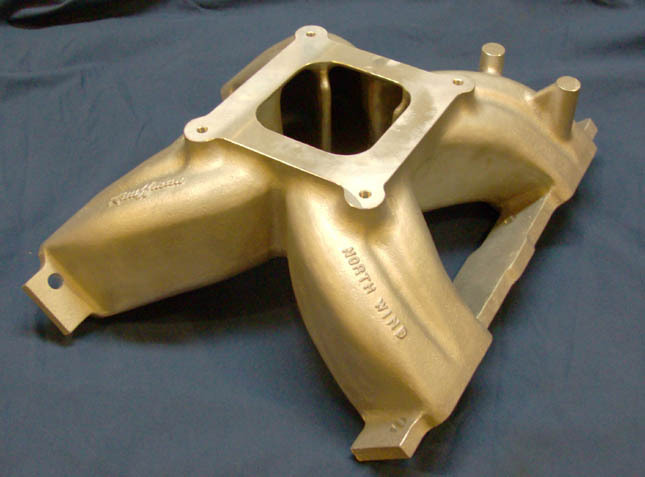 This is just the start for our line of intake manifolds.